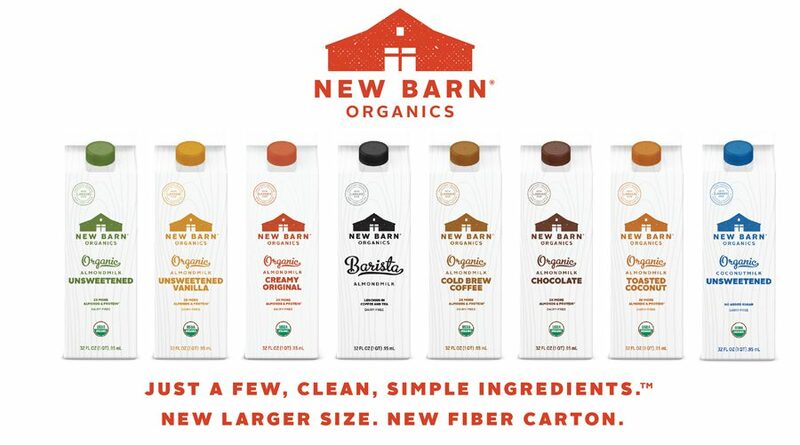 MEMPHIS, TN (March 7, 2019) – Evergreen Packaging®, a global leader in plant-based packaging solutions, and New Barn Organics have announced that New Barn Organics is transitioning its Almond Milk line, previously packaged in plastic, to Evergreen’s PlantCarton™ paper packaging. The PlantCarton™ brand is the culmination of Evergreen Packaging’s longstanding commitment to sustainability with an emphasis on the importance of using renewable materials in packaging. For more information visit: PlantCarton.com. All of Evergreen’s PlantCarton™ packages are made with at least 70% renewable material; paper made from trees where responsible forestry practices are used. PlantCarton™ packaging is also recyclable. Evergreen Packaging is committed to providing sustainable packaging solutions that help brands enhance their responsible sustainability story with products that give confidence in the supply chain and the environmental impact of packaging. In addition to PlantCartons™, Evergreen Packaging offers other sustainable solutions such as renewable cupstock and ice cream board. To learn more about New Barn Organic’s use of PlantCarton™ packaging and other packaging from Evergreen, visit National Products Expo West booth #8216. Evergreen Packaging is a global leader in creating fiber-based packaging solutions customized to deliver product freshness and brand distinction. Evergreen Packaging makes and supplies paper and paperboard products globally and is the number one supplier of liquid packaging board in the world. The fiber used in Evergreen Packaging products comes from forests in the US where responsible forestry practices are used. PlantCarton™ packages 52-64 oz use up to 80% less plastic by weight compared to comparable plastic packages. Want to reduce your plastic use by up to 80%?